Haben Sie Gerade wirklich gesagt, dass Sie radioaktiv verseuchtes Wasser durch Leitungen transportieren, die durch Gras zerstört werden können? Und dann muss ich auch noch lesen, dass der Betrieb und Ausbau (weltweit) munter weitergeht. So my IMAP server certificate expired today … so I needed to renew it. I use self-signed certificates for services I run myself. Then you generate the new certificate (expiring in 365 days) using the config file from above (imapd.cnf) and have it save it into imapd.pem. If you need to check the new key’s fingerprint you can get it with the following command. Bruce Schneier on the harms of post-9/11 airline security … and I think he is absolutely right. 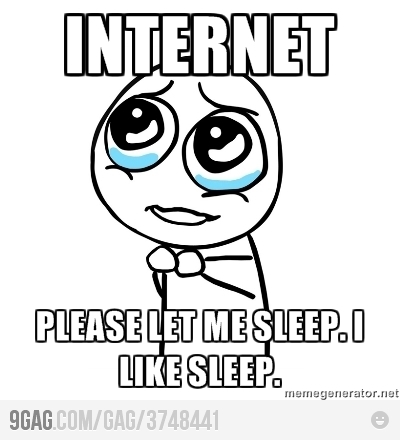 Internet, please let me sleep ... I like sleep. Muhaha … biometric checks at borders are making clandestine operations harder.